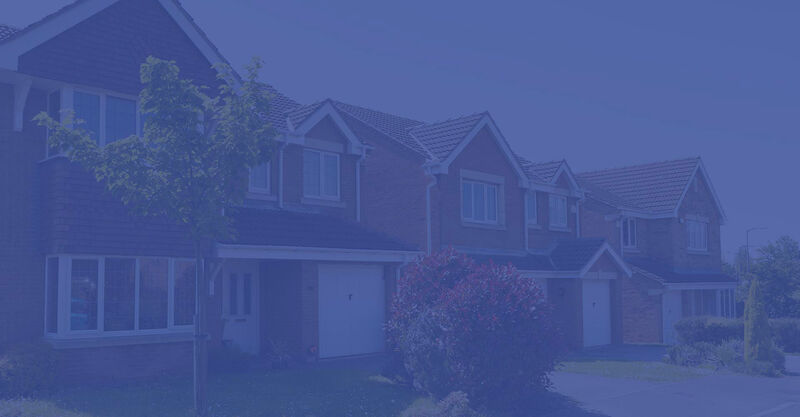 Call us today on 01626 798 188 to find out about our services. Email us today to find out about our cleaning services. Message us on Facebook to find out more about our services. Welcome to Bishop's Exterior Cleaning. 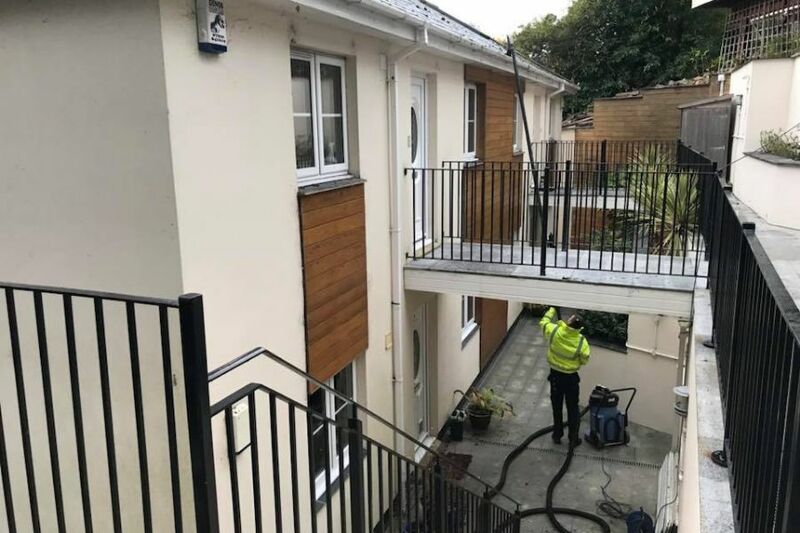 We provide a wide range of exterior cleaning services in Dawlish and throughout Devon to residential and commercial customers. Our services include Window Cleaning, Pressure Washing, Gutter Clearance, Gutter Cleaning, Soffit & Fascia Cleaning, Steam Cleaning, Softwashing, Roof Cleaning, Driveway Cleaning and Patio Cleaning. Residential cleaning services in Dawlish and throughout Devon. Get in touch with us today to find out more. Commercial cleaning services in Dawlish and throughout Devon. Get in touch with us today to find out more. Residential window cleaning services in Dawlish and throughout Devon. Commercial window cleaning services in Dawlish and throughout Devon. At Bishops Exterior Cleaning we provide a superb window cleaning service in Dawlish and throughout Devon. Our Dawlish window cleaning team are regularly cleaning windows in the local area and we have a reputation for being one of the best window cleaners in Dawlish and Devon..
Find our more about our window cleaning service in Dawlish and Devon by giving us a call or filling in our online contact form. Our team are ready and waiting to take your call and book you in for a regular window cleaning service. Residential pressure washing services in Dawlish and throughout Devon. Commercial pressure washing services in Dawlish and throughout Devon. Our pressure washing service in Dawlish and Devon comes highly recommended by our customers. 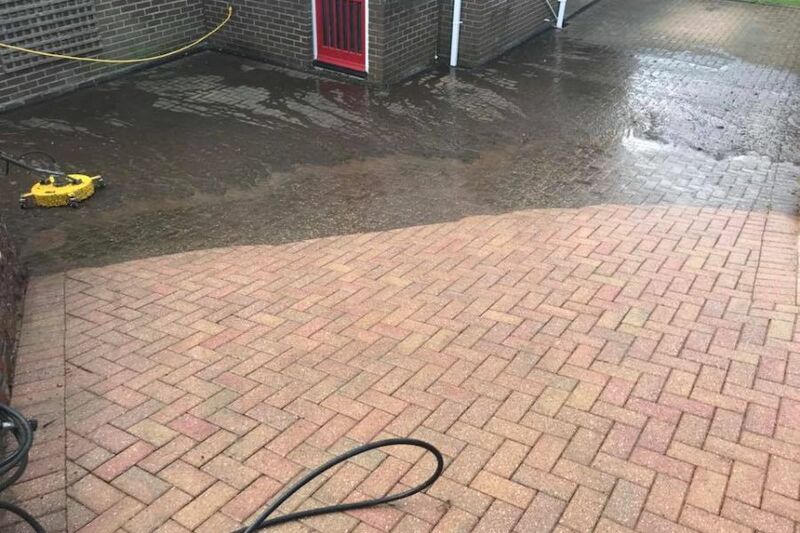 We provide pressure washing for residential and commercial customers and our pressure washing service includes driveway cleaning, patio cleaning decking cleaning and cladding cleaning. If you are looking for the best pressure washing service in Dawlish and Devon, get in touch with us at Bishop's Exterior Cleaning today. Our staff are always on hand to take your call or to reply to an email. Simply give us a call or fill in our online contact form and we will get right back to you. Residential gutter cleaning services in Dawlish and throughout Devon. 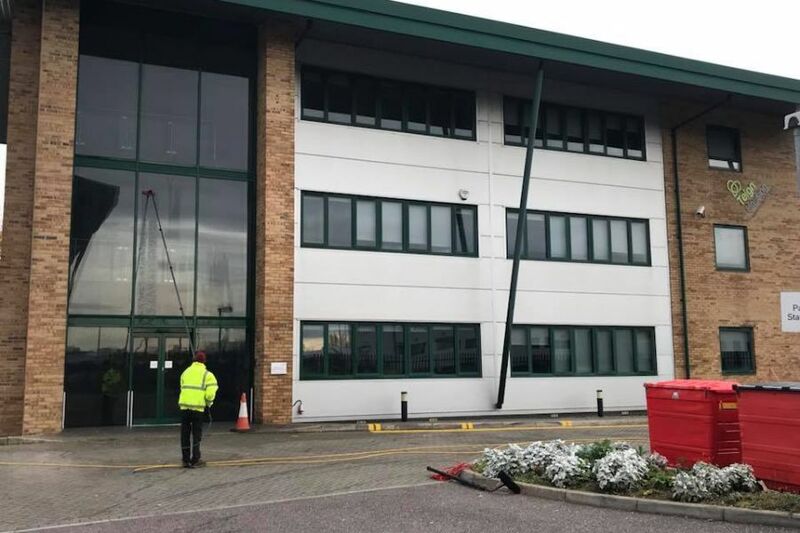 Commercial gutter cleaning services in Dawlish and throughout Devon. Are you looking for a local, professional and reliable gutter cleaning company in Dawlish or Devon? We provide gutter cleaning and clearance services to both residential and commercial customers throughout Dawlish and Devon. We have built up a strong and growing reputation for being one of the best gutter cleaning companies in Devon and leave no stone unturned when providing our services. Our gutter cleaning team are on hand to take your call or to answer and questions you may have about our services. Pick up the phone and call us today for a quotation and site visit. We are a friendly team of exterior cleaning specialists who always get the job done with the minimum of fuss and to the highest of standards.